Welcome to Josh New Photography. Hi, I'm Josh New and I'm a full time, freelance photographer in Tulsa, Oklahoma. I specialize in fitness portraiture but love portraits of any kind, especially editorial. Somehow I keep finding myself photographing cool buildings. I also love to travel and don't go far without my camera. The moment an emotion or fact is transformed into a photograph it is no longer a fact but an opinion. All photographs are accurate. None of them is the truth. I have a Masters of Fine Arts in Photography from The University of Tulsa but I have had a camera in my hand my whole life. 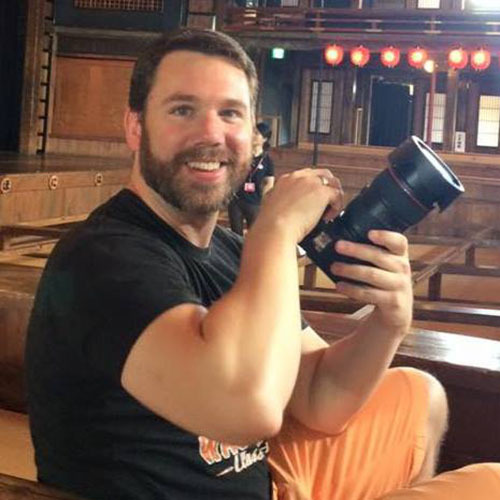 I recently left a job teaching high school Japanese after 12 years to finally follow this crazy desire to be behind the lens and to show my photos to the world. Let me know if you have any questions or would like to inquire about rates or booking.